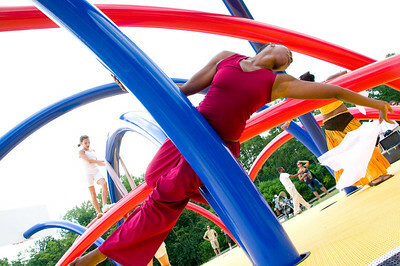 Please see captions below each image for a description. 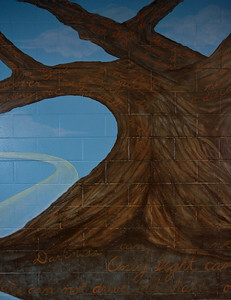 The large mural of the tree was commissioned by the Superintendent of the Juvenile Detention Center and is located within the detention facility. The Superintendent asked me to paint a wall of inspiration for the youth. 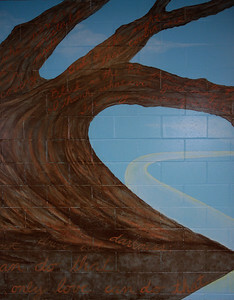 This mural is entitled, “The Wisdom Tree,” with words written throughout its branches and roots. The words within the roots, written by Martin Luther King, have always been an inspiration to me: “Darkness cannot drive out darkness; only Light can do that. 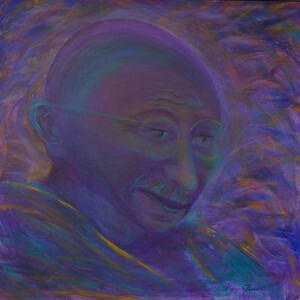 Hate cannot drive out hate; only Love can do that." 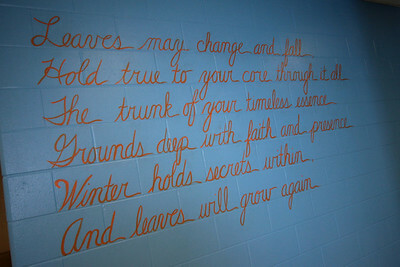 The poem on the wall next to the mural is one that came to me as I painted.